The sun rose for the first time in Vana'diel on May 16, 2002. 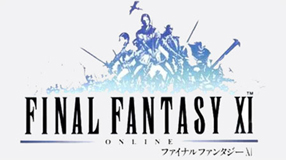 Final Fantasy XI, Square Enix's first massively multiplayer online role-playing game, debuted in Japan on Playstation 2 video game consoles and soon after on Windows-based computers. A North American version of the game -- packaged with the Rise of the Zilart expansion -- went online in October 2003. The world of Vana'diel was much smaller in its early days. The Maze of Shakhrami was a popular experience camp, the Shadow Lord was the ultimate boss and notorious monsters roamed freely, claiming the lives of unsuspecting adventurers. The level cap was level 50, artifact gear had not yet been invented and the greatest accomplishment in the game was achieving rank 6. Final Fantasy XI has grown dramatically since its first sunrise. The game has undergone four expansions, has been sold in Europe and is now also playable on the Xbox 360 and Playstation 3. However, many adventurers speak fondly of the early days of Vana'diel. It was a period of exploration and discovery, of risk and excitement, when the only thing known was the uncertainty around the next corner. This page last modified 2008-09-05 02:38:52.